Pathogenic Yeasts and Yeast Infections focuses on two major yeast genera (Candida and Cryptococcus) and the spectrum of their respective diseases. The book examines the biology of the yeasts, pathogenesis, epidemiology and host response, pathology and clinical symptomatology, diagnosis, and therapy. Genetic studies, morphology, yeast physiology, basic metabolic processes, immunological activity, and the current status of vaccines are addressed as well. In the clinical arena, pathogenesis, pathology, clinical syndromes, organ specificity, diagnostic techniques, and treatment are explored through personal experience and a broad survey of the current literature. The book is authoritative and logically organized for easy reference. Candida and Candidiasis: Biology of Candida and Experimental Candidiasis: General Biological Characteristics of Candida albicans (E. Segal). Ultrastructure (I. Berdicevsky). Cell Wall (E. Segal). Genetics Studies in Candida albicans (Z. Altboum). Virulence Factor (E. Segal). Experimental Infection (E. Segal). Vaccination as an Expresson of Immunity to Candida (E. Segal). Human Disease: Introduction (G.L. Baum). Epidemiology, Pathogenesis, and Immunology (G.L. Baum). Pathology (G.L. Baum). Oral and Cutaneous Candidiasis (E. Sofer). Vaginal Syndromes (G.L. Baum). Ocular Candidiasis (A. Romano and B. Madjarov). Disseminated Candidiasis (G.L. Baum). Diagnostic Techniques (G.L. Baum, E. Segal, and A. Romano). Treatment of Candidiasis (G.L. Baum). Cryptococcus Infection and Cryptococcosis: Biology of Cryptococcus and Experimental Cryptococcosis: Introduction (E. Segal). General Biological Characteristics of Cryptococcus neoformans (E. Segal). Studies of the Morphology of Cryptococcus neoformans (E.S. Kuttin and J. Mueller). Antigenicity and Immunity (E. Segal). Recent Molecular and Genetic Studies in Cryptococcus neoformans (I. Polacheck). Melanin Production and Encapsulation as Factors of Virulence of Cryptococcus neoformans (I. Polacheck). Experimental Cryptococcosis (E.S. Kuttin and J. Mueller). Human Disease: Epidemiology, Pathogenesis, and Immunopathogenesis (G.L. Baum). Pathology (G.L. Baum). Clinical Manifestations of Cryptococcosis (G.L. Baum). Diagnosis of Cryptococcal Infection and Disease (G.L. Baum and E. Segal). Treatment (G.L. Baum). Index. 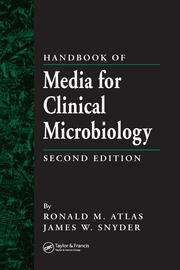 "This book is a valuable addition to the literature on clinically important yeasts."